Jenifer Hoffman is the owner of the Goosehead Insurance Agency located in Cypress, Texas. 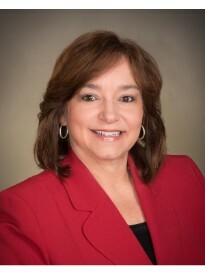 Prior to joining the Goosehead family, Jenifer was a second generation owner of a Farmers Insurance Agency that was started by her parents in 1979. She gained valuable experience in personal lines insurance writing home, auto, business, specialty insurance, and more for over eleven years. As a Goosehead agent, Jenifer takes pride in her ability to shop your insurance needs through top rated carriers and provide options that are designed specifically to fit your individual needs. Since 1979, she and her family have been committed to helping friends and neighbors protect what they value most. Jenifer and her team would love the opportunity to work with you to help you find the best combination of protection and value.